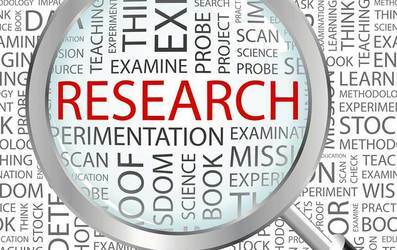 A research paper is a culmination and final product of first hand survey, critical thinking, source evaluation and composition that gives a unique perspective about the research question. A research paper analyzes a perspective or argues a point. Regardless of the type of research paper, it should always present author’s unique perspective on the issue at hand, backed by other’s ideas and findings. A brief outline of approach you might take. Expected outcome and who will benefit from it. You should have genuine interest in the chosen topic. Your attitude towards the subject will determine the amount of effort and enthusiasm you put into research. Stick to reliable and quality information source like previous journals, news articles, etc. Verify your statistical data and check for accuracy. Select an audience base that is neither too broad nor too narrow. Pay special attention to people who will benefit from your research and plan accordingly. State your thesis clearly and concisely. It should highlight your perspective which will be supported by your research. It should be a short summary of a research topic. It should include research question. Include Hypothesis(if any) and mention the rationale behind it. Include methods used and main findings. Articulate the findings of related research work. Give credits to those who laid the ground work for the research. Your paper should build further on the research question and provide your unique perspective based on data you collected through field surveys and research. Follow a logical structure throughout your document. Your audience should be able to follow your research with ease. All the sub topics should be relatable to your research question. Conclusion or closing remark is very important. Bibliography section is a must. Include links to all information sources and give credits to original authors. Citations are very important when it comes to research paper. Drafting is one of the last stages in the process of writing a research paper. This process is usually done towards the final stages of the project. Get your paper reviewed by an expert, your colleague or professor. Aim for at least 2-3 reviews. Writing a research paper may seem to be intimidating at first. It largely due to lack of experience and knowledge. Writing a research paper is a journey worth taking. It immensely expands your knowledgebase and gives you a sense of fulfilment. All it requires is diligence and patience.